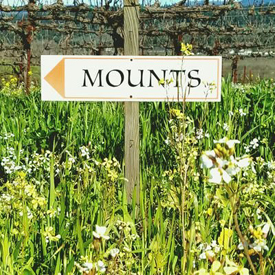 Comments: Quality through sacrifice is our priority at Mounts Family Winery. Our passion is expressed through our Estate vineyards and the wines we create. We have farmed for over 50 years and three generations on our 120 acre ranch, located in famous Dry Creek Valley, Sonoma County. We grow and hand produce small lots of Zinfandel, Cabernet Franc, Cabernet Sauvignon, Syrah, and Viognier, but our flagship wine is Petite Sirah. We are fascinated with the challenges Petite Sirah presents to us in the vineyard, and the power it releases in the wine. The temperamental clusters transform themselves into richly flavored wines with intense, dark fruit aromas and powerful tannins. For over 40 years, our family has learned to nurture Petite Sirah to its fullest potential.